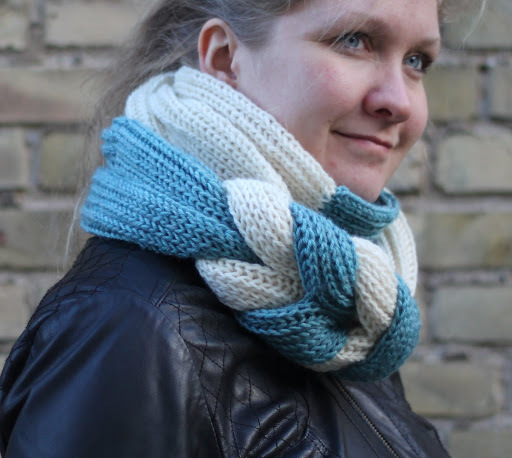 Last week I published a new pattern: The Experioche cowl. Experioche, because it’s kind of experimental, and it’s brioche! It’s really fun to make. 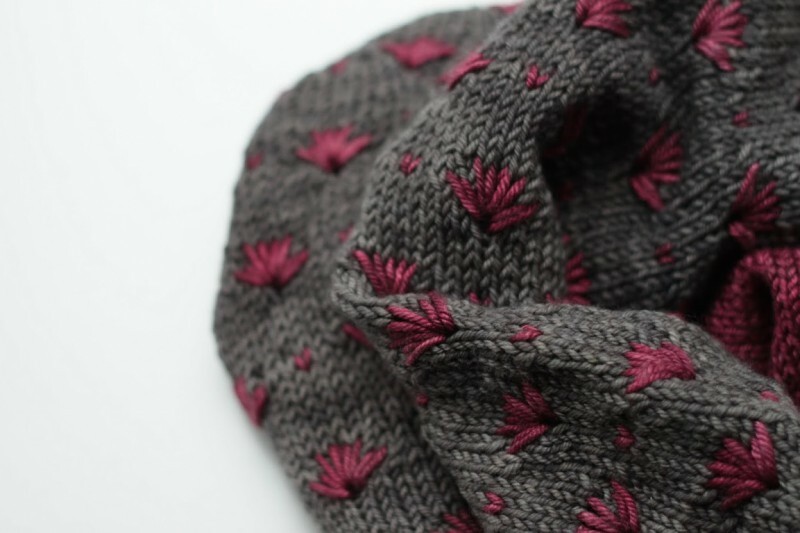 The brioche stitch became addicting, and working it up in worsted weight yarn was pretty quick. 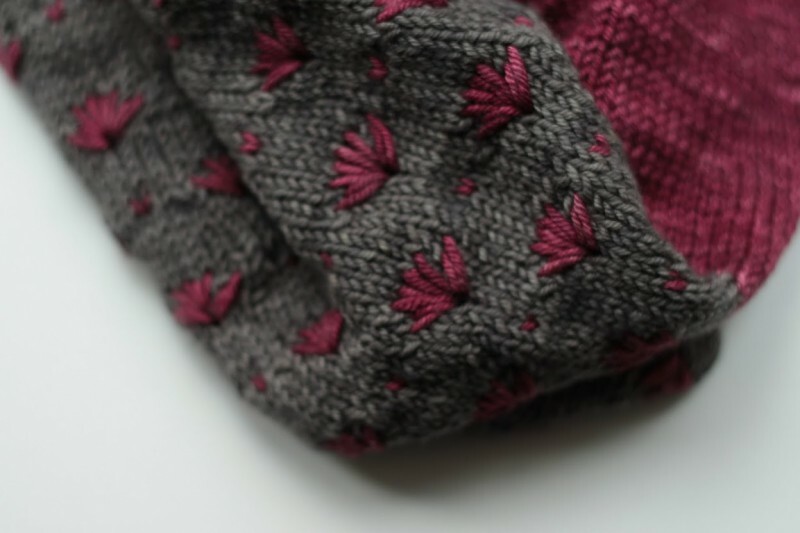 I had a fun challenge figuring out how to graft the cowl in the end (you see where the two colors are grafted together? ), but ended up creating a video where I hopefully explained it well (find that here). 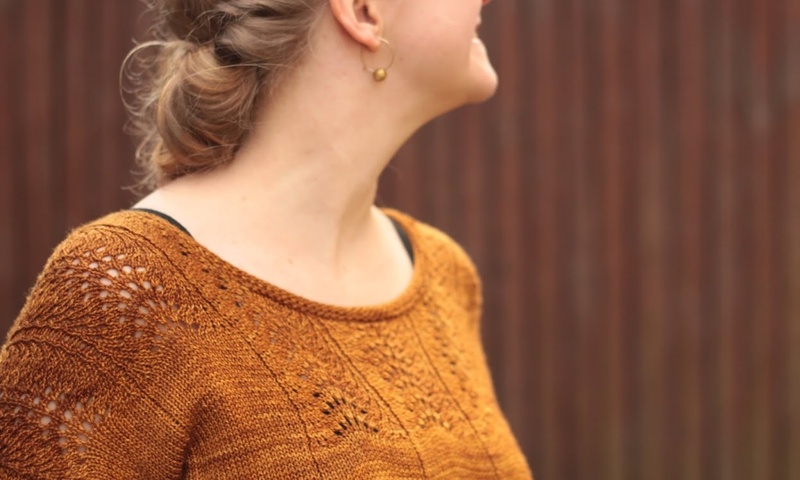 Until end of day today (March 11th, Copenhagen time) the pattern is 30% off when purchased on Ravelry. Go grab it while the discount lasts! 30% is automatically subtracted upon checkout. 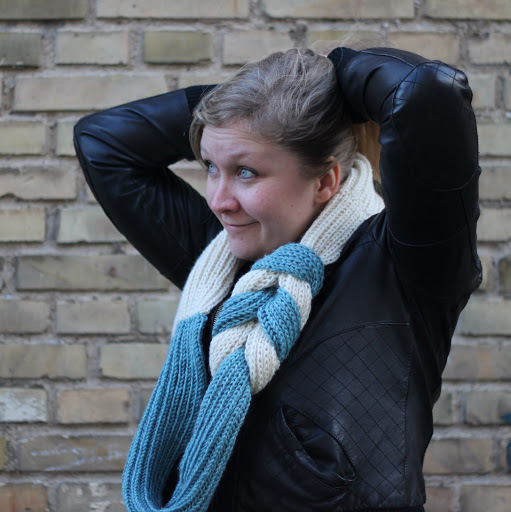 See the Ravelry pattern page, or buy it now! 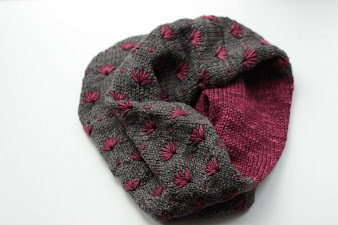 Approximately mid December, I finished a seldom knit which was not my own design – the Papyrus cowl by Lili Comme Tout. I had my eyes on this one for a while, hoping to see more color combinations arise. As it was a club pattern from the (Vi)laines yarn club, I also had to wait for it to become available for me. My reason for knitting this? I needed a quick cowl to match my winter coat. I’ve been talking a lot about this coat and things that should match it, without me really doing anything about it. This is partly due to it being quite hard to match something to it, as it has a quite distinct burgundy color, and partly due to it actually being too warm to wear accessories with! 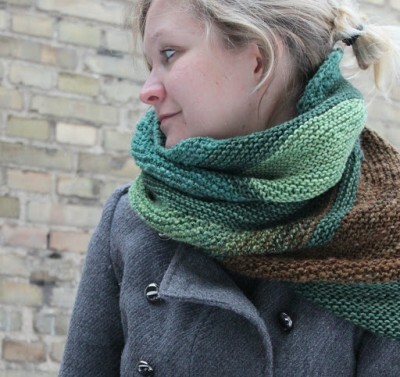 On the one hand that’s awesome, on the other hand I don’t really get to use any scarves, shawls and cowls at the moment. 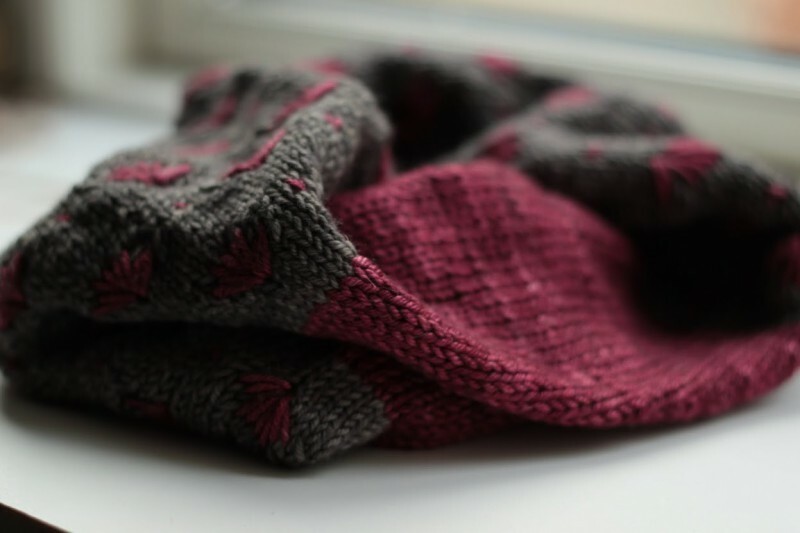 But hey – I had this gorgeous skein of Lioness Arts Silky DK in the color “Dark Rose” (a one of a kind color), and I still had a bit of dark grey Swans Island Organic DK left after doing my Moraine cardigan. I could whip this baby up in no time! It took me 4 days – mostly because the flowers pattern is very addictive. It’s worked over 6 rows, which makes it very easy to say “hey, let me just do one more round right now to finish this repeat…” – that’s like crack for me! 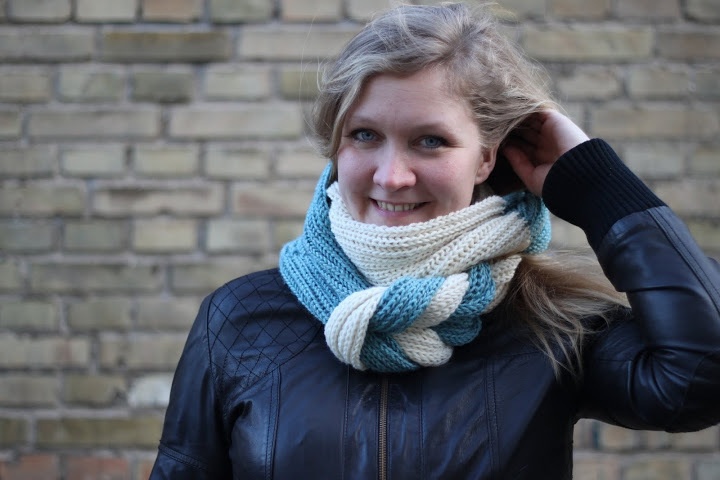 Want more details and see where you can get the pattern? Go to my project page on Ravelry. 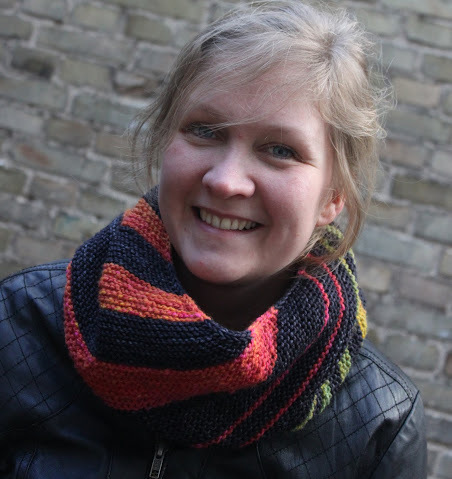 About 1 1/2 week ago I published a new free pattern: Biased Stripes. 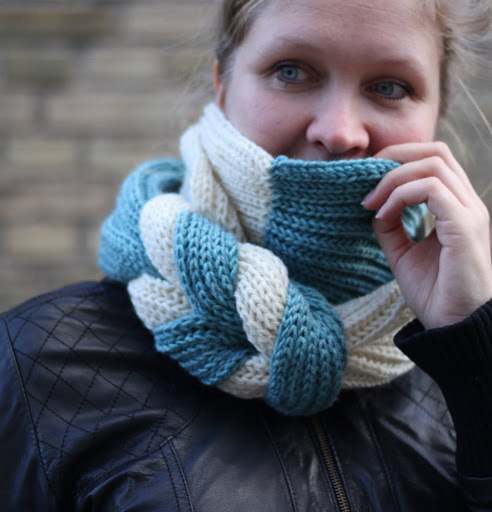 I have just released a new pattern, called Squishy Short Rows. It is a cowl worked on big needles with any weight of yarn – my initial sample was in lace weight, the second in worsted weight. 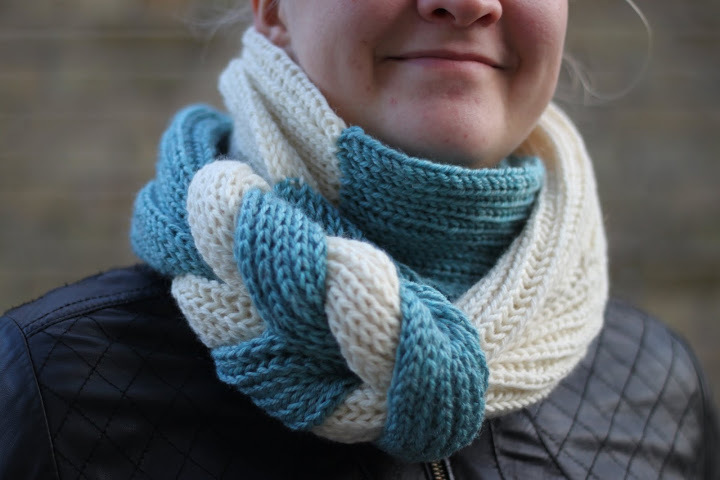 My testers have tried different yarn weights, and it all comes out fantastic! I have made my versions in a color changing yarn and in different colors, to show off the construction better. 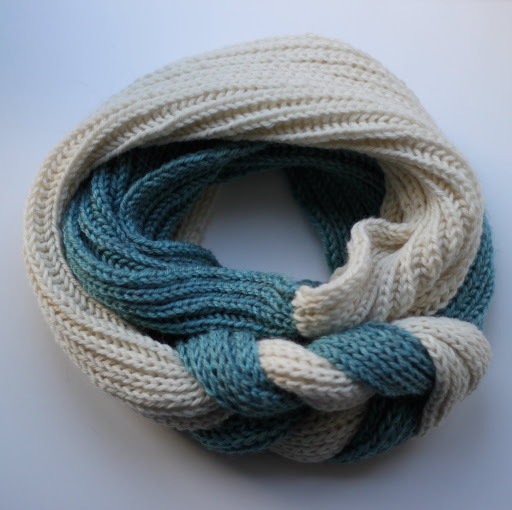 It is of course possible to knit it in one color only – it will show off hand dyed or handspun yarns beautifully! For more information, check out my personal blog, or the Ravelry pattern page, where the pattern is for sale.